Digitisation is moving quickly and having a very strong impact on the traditional retail sector. In this blog we list three emerging trends that we believe will dominate the industry within a couple of years. Long queues, uncertainty about stock levels and crowded stores. Many consumers prefer shopping digitally but are irritated by long delivery times and confusion in connection with delivery or collection. 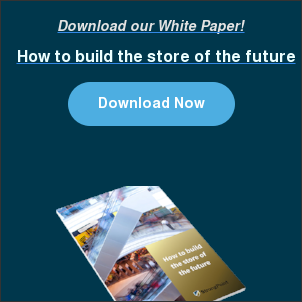 In the future more and more companies will be offering more flexible solutions for the delivery of products which in turn enables faster purchases – but above all shorter delivery times between warehouse and customer. Not all consumers are willing or able to pay with a bank card. Many people also find it inconvenient or time-consuming to fill in card or invoice details for every new purchase. This has resulted in the market looking for new and above all more payment methods. One solution that we’ve seen more and more of is invoice solutions linked to the customer’s email. This simply requires a couple of taps on a button to order a product, and payment is also made via an invoice with a generous due date. Looking ahead, we also see similar solutions in physical stores with the aid of, among other things, smart watches, phones and smart cards. For many years now, large shopping malls have formed the hub of much of the retail trade in and around cities. But this trend has turned. In countries such as the UK, Belgium and the Netherlands, we’re seeing a trend suggesting that demand is increasing for smaller, local stores. This is probably because of two factors: long transport distances and a shortage of time. It simply takes too long to go out to the bigger stores, which means that a need has developed for quick retail service in downtown areas. In countries such as Sweden and Norway, we’re also seeing an increase in online food shopping, often with home delivery. Whatever kind of store you’re running, one of the above trends will probably affect your business in the future. So, the question is: what should you do to deal with this? How do you ensure quality when implementing a new solution for your store? We share our tips here.